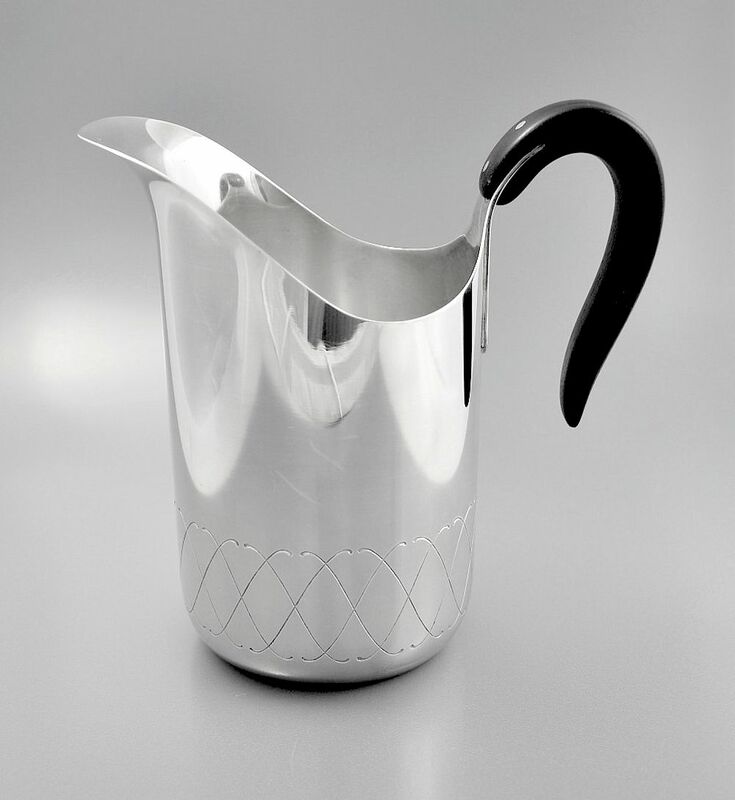 This c1930-40’s silver jug is by the Danish designer and manufacturer Evald Nielsen. The bottom section is engraved with a scrolling stylised "X" motif and has a curved "floating" ebony handle. and ebonised handle. The base is very clearly marked ‘Evald Nielsen’ – Denmark LV - Sterling Sliver - 925.S.